Roses are beautiful to look at but what's even better is when you get to eat it. Milky Bee located in Myeondong, Seoul hits the spot for foodies out there who like to eat pretty things. 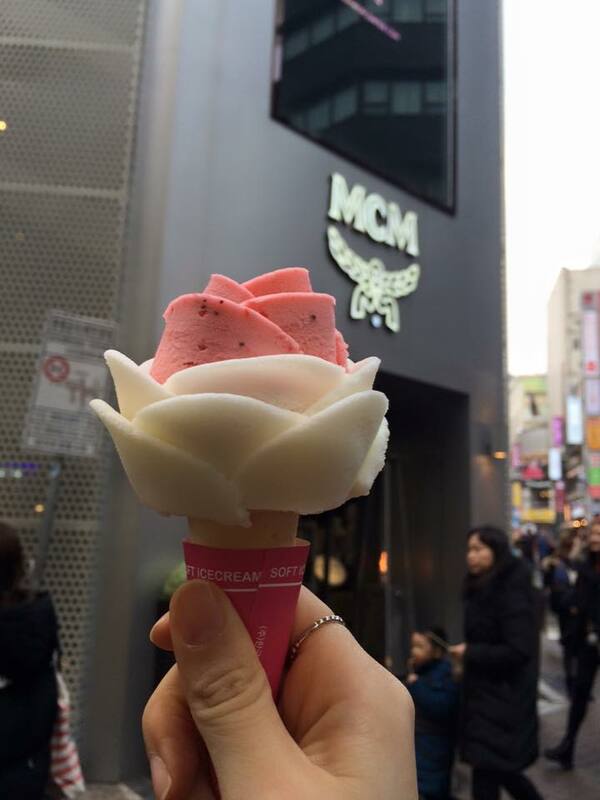 I just love the concept of rose ice cream and it is also very yummy!! I decided to try one out while I was out shopping and I just couldn't walk by without getting one. If you want to avoid the mess they also have an option of organic ice cream in cups. It is best served with a chunk of honey on top! Doesn't it just look too pretty to eat? Make sure to stop by, you won't regret it!